Crunch Fitness, which mainly operates from its headquarters in New York City, has branches in more than 145 locations, including at least 32 Crunch Fitness Signature clubs, nationwide. It has also clubs in Puerto Rico and Australia. The Crunch Fitness is known for its physical fitness programs. A wide range of programs is being offered by both of its brands – the Crunch Fitness and the Crunch Signature. The club also prides itself with its “No Judgments Philosophy” that provides its clients the positivity, inclusivity, and fun while in the gym. The first Crunch Fitness was established in East Village in New York City in 1989 by Doug Levine. It started only as a small gym in a humble basement studio where it hosted group fitness classes. 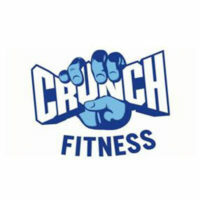 After being founded, Crunch was acquired by Bally Total Fitness in 2001 and, in 2009, was sold to the New Evolution Fitness Company and Angelo, Gordon, & Co.
Crunch Fitness can be found in many locations in the United States. It has also branches in Puerto Rico and in Sydney, Australia. The Crunch Fitness’ operating hours vary in every location. But generally, its branches operate from Monday to Friday from 6:30 in the morning to 10:00 in the evening. During weekends, it is scheduled to operate from 7:00 a.m. to 7:00 p.m.
Why Members Like Crunch Fitness? The Crunch Fitness boasts its “No Judgment Philosophy.” This could be helpful if you are a first timer in the gym, especially if you consider yourself a shy type because, most of the time, first timers tend to stop if they get too conscious of the people surrounding him. Members are able to avail many of Crunch Signature privileges, such as expanded facilities, state-of-the-art equipment, and other comfortable amenities that members may use after gym. Aside from these privileges, Crunch Fitness also conducts transactions online, which is helpful if a member is a busy person. Crunch Fitness has a personal training policy that would cater to the physical fitness goals or needs of a client. Bringing your own trainer in Crunch Fitness have yet to be finalized. The club also promotes its small group training – availing the expertise of a personal trainer but with the company of other clients. A small team of clients will be supervised by certified Crunch Fitness trainers. In Crunch Fitness, aside from having the traditional lockers, clients who are part of the Crunch Signature club are provided with towels and other toiletries directly in their own lockers. Additionally, locker rooms are relatively clean as Crunch custodians take care of the cleaning the toilets, urinals, showers, and the lockers. Being a parent and taking care of your child presents a dilemma for someone who wants to workout but could not go out. In some Crunch clubs, Kids Crunch is being offered, wherein Crunch staff will, technically, babysit your child while you are working out. Moreover, whoever you are or whatever you are, Crunch Fitness assures its clients that it will uphold its “No Judgment Philosophy”. The management assures that everyone is welcome to workout. Finally, if you are asking, Crunch Fitness has its own Crunch Female Fitness Center, which is currently located in New South Wales in Australia. There are three membership types: Base which costs $9.95 per month; Peak which costs $19.95 per month; and Peak Plus at $29.95 per month. Both Peak and Peak Plus will give the client an access to 161 clubs. Before availing any of the three, Crunch Fitness also offers a one-day trial pass for prospective clients. Those who are interested to avail the one-day pass will only fill out an online form. Besides the three membership types, being part of the Crunch Signature will cost a client more. As such, these clubs are higher priced clubs and would require a membership upgrade. Short-term memberships are sometimes offered by Crunch Fitness. But, if you would want to cancel your membership altogether, different policies are implemented in different locations. Trying out Crunch Fitness before availing membership is deemed important. Crunch Fitness offers guest pass but the price varies with location and offers also differ. If a client is an existing Peak Plus, Crunch Essentials member, the club offers free guest passes. If you are looking for a gym buddy, you may use the free guest passes to introduce potential gym members. Crunch Fitness offers kid care facilities, spa, sauna, locker rooms, Hydro Massage beds, tanning, and after-gym amenities. Moreover, the Crunch Signature locations offers added-value service and goods, such as free toiletries, free wifi connection, and even live DJs. The clubs have all kinds of weights, several treadmills, suspensions, cardio-machines, and other crunch machines. Aside from machines that clients’ fitness goals require, classes are also being offered by the Crunch Fitness. Small training group and group fitness offer almost the same classes. Some of Crunch Fitness’ classes are the following: Zumba, Yoga, Pilates, Cardio and Dance, and Sports, such as kickboxing. Not all things mentioned above come with your membership. These often come with added charge. In particular, those in the Peak Plus are not automatically members of Crunch Signature clubs. For more information on Crunch Fitness membership and cost, visit official site .